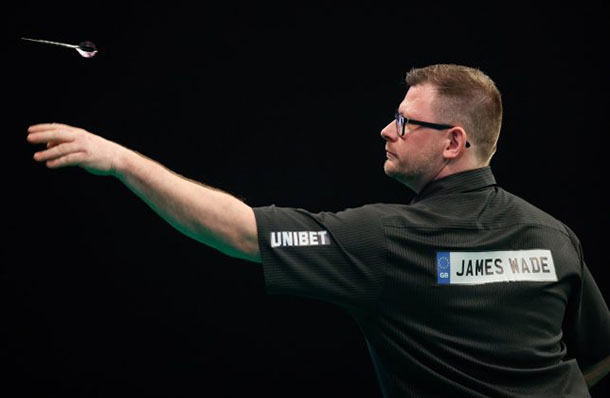 James Wade can return to winning ways when the 2019 Unibet Premier League Darts heads to Liverpool on Thursday. The Machine will be thankful not to be facing his nemesis Mensur Suljovic this week and can gain a repeat win over Daryl Gurney. Rob Cross can continue his good form. Victory over Peter Wright would see Voltage close in on a place at the playoffs at the O2 in London in May. Michael Smith is in desperate need of points but has a difficult assignment against Michael van Gerwen. 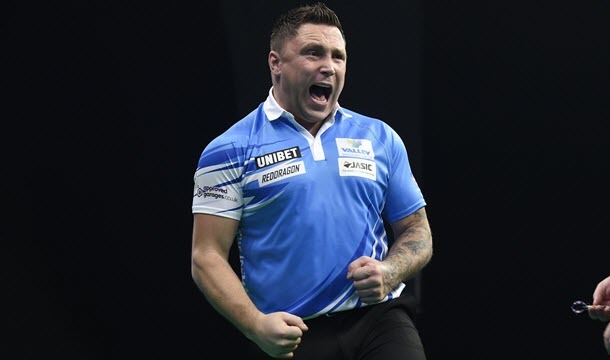 The fourth match on an interesting card is a big playoff battle between Mensur Suljovic and Gerwyn Price. Cross brought his good form from the first phase onto the Belfast stage last week. He averaged a superb 104 and quickly silenced the home crowd supporting local favourite Daryl Gurney. That 8-4 win saw Voltage move back to the top of the table. A playoff place is in his sights and he surely won’t slip up in this assignment. Wright continues to disappoint both in this event and in the weekend tournaments. His only victories in this competition are against lowly-ranked guest player Steve Lennon and the abysmal Raymond van Barneveld. Continual tinkering with his choice of darts isn’t helping him at all. He does have five draws to his name, which shows he is a dogged and capable customer. Cross should be able to handle him though. Games in this phase are 14 legs instead of 12, which is a double-edged sword for us. Presuming we have picked wisely it gives our selections some leeway to have a few bad legs and still be able to recover, which is great. On the downside, the longer format makes the draw less likely and therefore shrinks the win odds. This is a matchup where we might have been able to back Cross at 11/10 2.10 +110 1.10 1.10 -0.91 a few weeks ago, but now must accept an odds-on quote. We’ve made some good profit by twice backing Suljovic to beat James Wade. The Austrian appears to have a hex over the Machine. The opposite scenario applies this week. Instinctively it seems an encounter where we’d expect the head-to-head to be tight between two evenly matched players. However, the Welshman leads 10-4 which suggests he is well able to handle the ‘tactics’ which Suljovic employs. Both bring decent form to Liverpool. Mensur is in third place in the table and on target for a semi-final place. Price is two points behind but has been putting in the better averages recently, and really should have gained his long-awaited first victory over MVG last week. This looks a tight encounter, but I can’t get look beyond that head-to-head record so Price gets a tentative vote. The Machine put in his worst performance last week in Belfast. Mensur Suljovic beat him for the second time in this campaign, and Wade averaged a dismal 85. The Austrian appears to be his kryptonite though, and Wade has otherwise been in fine form. He recovered quickly to win Players Championship Event Nine in Barnsley on Saturday. Therefore it seems safe to ignore the setback against Suljovic. Superchin bounced back well after some heavy defeats in the first phase, including a whitewash at the hands of Wade. He is inconsistent though and was very disappointing last week in Belfast against Rob Cross, despite enjoying huge support from the Ulster crowd. A recent £25K win in the German Darts Championship shows what a capable player he is. He is level on points with Wade currently, but the Englishman is likely to have his number again this week. The Green Machine is still short of his best. Being merely in second place in the table after 10 nights of action will be a source of annoyance to him. He needed to fight hard to gain a draw against Gerwyn Price in Belfast last week, an opponent he usually dismisses with ease. So it all looks less than rosy for MVG at the moment. After a difficult start to the year, Bully Boy has shown improved form over the last month. It was disappointing that he had to settle for a draw against Peter Wright last week despite averaging 10 points more than the Scot. He likely needs to win five of his remaining six games to reach the playoffs. That is a tough ask. The below-par Dutchman will probably give him plenty of chances. But can Smith take them? I’d advise a watching brief for this one. JK hails from Dublin and is an avid fan of all sports. He's been gambling with success for nearly 30 years and believes that research and dedication is the key. JK's knowledge of the small details and knack of spotting opportunities that others often miss is what gives him the edge over the bookies.